Nodaway-Holt leaders are asking voters to extend the sunset on the current 89.9¢ levy per $100 of assessed valuation at the April 3 election. The funds generated by the tax help the school district pay for repairs, maintenance and improvements. The levy would fund several large repairs including new roofs on both buildings, a new boiler and heating system at the high school, new tuckpointing on the high school, new heat pumps and several pieces of kitchen equipment that are not up to code or not working properly, such as a dishwasher and a stove hood. School administration received bids for the repairs and included bathroom updates. The bids came in at approximately $2.8 million. Superintendent Jeff Blackford stated the repairs will be necessary whether the school received levy funds or not. Administration also quoted the demolition of the 1938 building and constructing a new 10,000 square foot addition to the high school. The construction bid also included new buzzer security systems and bathroom renovations. The new construction bid came in at approximately $3 million. The 89.9¢ levy was passed in 1999 and the final payment was made in February 2018. During that time, the school board was able to refinance the loan three times for a savings of $494,232. The levy is set to sunset during the 2020-2021 school year. The school board is not asking for an increase; the levy would stay the same as it is now. If passed, the levy would be in place for an additional 20 years, sunsetting in 2037. 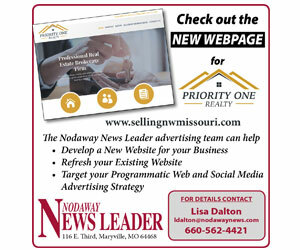 Currently, out of the 17 school districts in the Northwest Missouri area, Nodaway-Holt has the fifth lowest levy rate, with a total levy of $4.2898. The proposal needs a simple majority vote to pass. Voters may vote by absentee ballot through April 2. To be valid, all mailed absentee ballots must be received by April 3.